Project Payday is one of the most popular names in the world of online reviewing and surveying websites. Since its launch, people have been sceptic about the actual nature of the website and have repeatedly asked the users of the website whether the program is legit or scam. 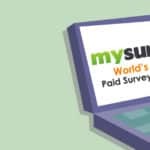 However, given the possibility of paid positive reviews or baseless malignance from competitors, many people, who are new to the world of surveying and completing offers online, may feel very confused and in look out for an authentic review. We have decided that we would be diving deep in our investigation regarding Project Payday and determine if it is a trust worthy website like Harris Poll Online or another junk one. The investigation would be holistic in nature and would take into account, both, our personal experience and the user feedbacks. The company and the website have been founded by a certain individual named Monika John, in 2006. This makes the website exactly a decade old at the time of this writing (2017). What raises our brows here is the fact that there is no information about this Monika John, either on the website or on any other platform. It seems like the founder/s want to stay anonymous for whatever their reasons are. However, it does dent the program in its accountability index for us. Upon querying on the Better Business Bureau website, we were surprised to see an A rating for the company and its operation. This does make it look impressive, since it is not an easy task to achieve such a high rating. Moreover, BBB also gave information regarding the origin of the company and contact information. The address provided is for Denver, Colorado. Whether the address is still valid or not is another matter, but we trust BBB on their ratings and have developed some faith in this program. The website for the program is ProjectPayday.com. program (more on this later). The website seems to be up to date as hinted by ‘Copyright 2017 ProjectPayday.com, LLC. All Rights Reserved.’ This is a good sign. Any committed website company would always have a team of web developers keeping the website in top notch quality. What seems like a bummer is a lack of About section on the website. As reviewers, we look in to this section to get the background of the company and program. However, the contact details which were mentioned above do match with the contact details provided on the website. The website has no security certification which is a disappointment. When you are dealing with money, it is always advisable to have your website’s security at the highest standards. A lack of certification means that our data can easily be hacked or used for profit purposes. If you are not aware of the term CPA and how it is used to make money, then in a nutshell, you can consider it as a mechanism through which the company pays you money for finding customers for a product. Take a bottle of hair nourishment oil as an example. When you find a customer willing to buy the product, all you have to do is let the customer pay for it while you only pay the shipping. When the customer receives the product, you will send the receipt to the company and it will give you a commission that will also cover the shipping expense. So in the end, you will receive a net profit. Before starting out with CPA products, you would have to complete the training provided in the website. The training is divided into 4 segments and will give you an all rounded brush up for CPA marketing. During the process of your training, you would be required to complete trials for PPD. The program seems logical and can make for some decent earning. However, that being said you need to work for your money. It is not all nice and easy. You have to research for your leads and then convert these leads into buys. It can take you several weeks before you get a grip of the world of CPA, especially if you’re a newbie. While the option 1 mentioned above i.e. Complete the Cost Per Action (CPA) offers is quite straightforward, the option 2 has some conditions before you actually become eligible to participate in the program. You must fill two CPA offers by yourself. You must find two refer the program to two people and get them to join it. These two people must complete two CPA offers each. After you have fulfilled all the above conditions, now you can start working on the referral program and earn some good money. However, meeting these conditions themselves is not a piece of cake and may take you quite some time. We signed up for the program on June 2 2017. Now upon signing up, you would get an option of either completing trials or pay a one-time fee of 34.95 USD. We chose the latter since we really wanted to get to the platform itself, however either choice makes no difference. We were given helping guide and training manuals. There were more add-ons available for a small fee of 19.95 USD. However, we skipped this and chose the conventional training as most of the other users are likely to take. The instruction manuals were quite clear and easy to follow. We were given details about the methods of using PPD for making money. These methods have already been discussed in the above sections. Since referral is where the actual money is made, we really wanted to get ourselves qualified for it. We fulfilled all the conditions for the Pro Membership and got listed in the referral program. There were several offers available in the referral program. These catered to the hottest trends in the market. We checked the details for each offer. Most offers were came with very low payments. Other offers would cost more to complete than the payment itself. Only a few offers actually gave any prospect of a profit. We chose one from the latter category (Acne Cream). Since we did not want to waste time, we created a dummy buyer (one of our reviewers) to complete the offer. Upon completion, the website gave us a green signal which meant that the payment could be withdrawn ($45). No additional charges were deducted. The payment was sent to our Paypal account the next day. We made a net profit of about $38 after shipping cut. It seems like a fair earning. However, we wanted to see if this earning can be stabilised for a withdrawal every week. Unfortunately, the quality of offers on the website fluctuated. Therefore, while there was an odd $30 – $50 offer every third day, majority of the offers would have yielded in very low profit. While completing the offers, you may be required to contact the suppliers and the calls can be bothersome, especially if the agent is unaware of the PDD program. The reports by the users on online forums and review websites have been positive in general. There have been some isolated cases of disappointments. However we are not sure if these are staged by competitors or are genuine cases. Either way, the percentage of such responses is very low and all looks pretty good as a whole. The superb popularity of the platform is an indication of its performance and the general appreciation level amongst the public. itself and not the users directly. Upon our personal experience after using the platform and the response from the other users, we think that PPD comes with its fair share of good and bad. However, the good overwhelmingly outweighs the bad. Needs zero investment. You can do trials to make up for the membership fees. Products come from top brands and are always in demand. Since the top brands are involved, there is little to no worry about no payment. If there is a payment issue you can simply contact the customer care of the company. There are many free offers that can be completed by finishing trials. There is only a single chance of completing a trial. Even if you find a great product and a well paying offer, you can only make use of it for once. After you have completed your offer you need to cancel the trial subscription. In case of failure, the company will automatically deduct from your PayPal account or credit card. Joining PPD invites several hundred spam mails to your email account. In fact, during our experiment with the program, we received up to 400 junk emails every single day! Getting leads can be difficult, especially for the newbies. All in all, the balance is tipped in favour of the Project Payday. Let’s go to the verdict and see if it holds through. This money will come in with some sweat and effort. The website can use your personal details for profit. Users have earned from $0 – $500 regularly from the program. Some have even reported of earning $2500.